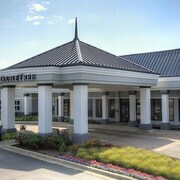 Situated in Novi, this hotel is within 1 mi (2 km) of Lucky Strike Novi and Twelve Oaks Mall. Suburban Collection Showplace is 2.8 mi (4.4 km) away. 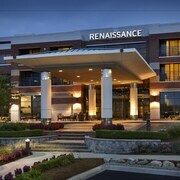 Situated in Novi, this hotel is within a 10-minute walk of West Oaks and Twelve Oaks Mall. Suburban Collection Showplace is 2.3 mi (3.7 km) away. Situated in a shopping district, this hotel is within 1 mi (2 km) of West Oaks and Twelve Oaks Mall. Suburban Collection Showplace is 2.4 mi (3.8 km) away. We were in town for 4 days and wanted a place close to the airport and not too far from Detroit. For the price, this place was a good choice. It was fairly clean and the bed was very comfortable. Had some issues with the first room they gave us because of cigarette smell, but they switched our room and it was fine. The temperature control for the room is difficult due to older heating and AC systems. Breakfast is just a muffin or granola bar with an apple and a bottle of water. The Cleanliness and the way the staff greets you..
Where to find Novi hotels near an airport? Where can I find hotels in Novi that are near tourist attractions? There is a wide range of accommodation choices for those who are after either an affordable or upscale place to stay in Novi. About 35 accommodation options are within a 0.1-kilometre (0.06-mile) radius from Novi's center. The Crowne Plaza Hotel Detroit-Novi is a sought-after accommodation choice due to the fact that it is located so conveniently to Novi's town center. Budget hotels in and around the Novi area include the Extended Stay America - Detroit - Novi - Orchard Hill Place, Extended Stay America - Detroit - Novi and Country Inn & Suites By Carlson, Novi, MI. The Bell Tower Hotel is 30 kilometres (19 miles) from the central part of Novi. Or, alternatively, the Hilton Garden Inn Ann Arbor is situated 35 kilometres (22 miles) away. Two more hotels and apartment options include the Cobblestone Manor and the Sheraton Ann Arbor Hotel. Once you have spent time in Novi, why not travel a little more of the area? The Detroit - Southeast Michigan district has a number of things to see. Visit Detroit - Southeast Michigan's history museums and enjoy the area's forests. Tourists in this part of United States of America often enjoy snowboarding, skiing and hiking. Looking for things to do? Why not spend some time exploring Northville Downs and Twelve Oaks Mall, which you'll find in Novi - Livonia, 6 kilometres (4 miles) to the southeast of Novi. 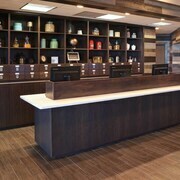 Novi - Livonia hotels and accommodations are the The Inn at St. John's and Marriott Detroit Livonia. 30 kilometres (18 miles) to the northeast of Novi, is Troy - Auburn Hills, home to the Hilton Auburn Hills Suites and Crowne Plaza Auburn Hills. Whether you're just passing through or staying in Troy - Auburn Hills, be sure to explore the Bloomfield Galleries and Callahan's Music Hall. Get your sports fix by taking a visit to Comerica Park, which is 40 kilometres (24 miles) to the southeast of Novi. Sleep right near the action at the MGM Grand Detroit or the Detroit Marriott at the Renaissance Center. 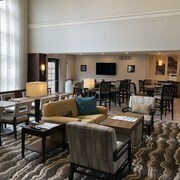 If you are traveling into or out of Detroit Metropolitan Wayne County Airport and are looking to stay nearby try The Westin Detroit Metropolitan Airport or Holiday Inn Detroit Metro Airport. What are the most popular Novi hotels? Are there hotels in other cities near Novi? What other types of accommodations are available in Novi? Explore Novi with Expedia.ca’s Travel Guides to find the best flights, cars, holiday packages and more!